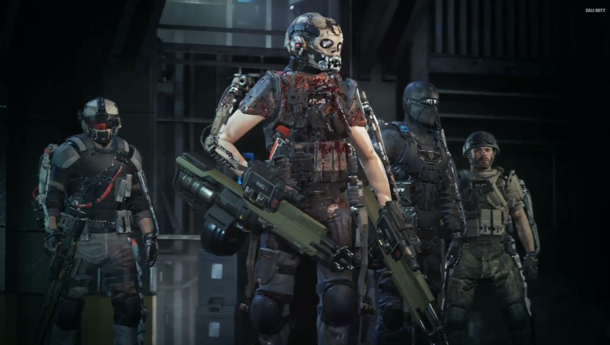 The final DLC expansion for Call of Duty: Advanced Warfare has been released for PlayStation 4, PlayStation 3 and the PC. It hits these platforms after having been exclusive to the Xbox, which is normally the case. CoD’s exclusivity deal with Microsoft ends now though, so things will be different with the next title. Today’s DLC, called Reckoning, adds some good stuff to the title. There are new maps for multiplayer: Fracture, Swarm, Overload and Quarantine, a new playlist for DLC 4 maps, part four of the Exo Zombies Saga: Descent as well as Reckoning TDM; Reckoning Grapple; Reckoning Moshpit. Sounds awesome. All of this adds a lot to the series, especially for long time fans. An update has also been sent out for PC and PlayStation 3 versions of the game which fix an issue where Point Blank medals were not counting toward unlocking the camo for some pistols and also where Double Kill medals were not counting toward unlocking camo for SVO. Players will be happy that this is fixed. There were also various bug fixes and improvements.